When dealing with your customers, the most important aspect to consider is why they chose your company over another. Nowadays, simplicity is vital to ensuring your customer's requirements are met within minutes; the waiting-line experience in a service facility significantly affects one's overall perception of the quality of service provided by the company. Whether you offer simple or complex services, you will need to differentiate between your clients' needs, and you need to do so quickly. Organic LED (OLED) represents the future of TVs. Although still in its early stages, here's everything you need to know about how it works, why it's better than conventional LED, who's making and selling OLED TVs, and more. They may sound similar, but LED and OLED use completely different technologies. Organic LEDs emit light when a current passes through them, but LCD displays require a backlight to make the colours visible. Modern LCD TVs include an LED backlight and have thus come to be known as "LED" TVs to differentiate them from older LCD models using fluorescent backlights. Another important difference between LCD and OLED is response time, which is a measure of how quickly the individual pixels can change colour. 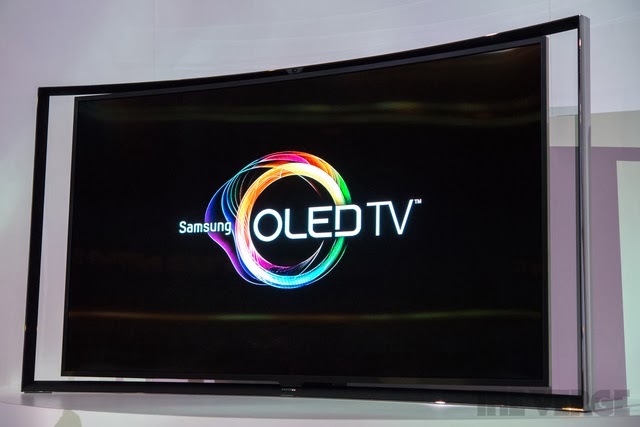 OLED is said to be 1000 times faster than LED-backlit TVs and even faster than plasma models. This makes for no discernible blur at all, so even when you're watching fast-moving action, the picture remains razor sharp. And whether you're watching 3D or 2D video, OLED is always crystal clear. We've seen this first-hand and it isn't hype - the quality is absolutely stunning. Thanks to the fast response time, everything is more detailed. Why are OLED TVs so thin? Because no backlight is needed, OLED TVs can be ridiculously thin. LG's curved display, showcased at the International Consumer Electronics Show (CES) 2013, was the thickness of merely three credit cards. Which is best? Plasma is known for its excellent black levels, but OLED is even better. Because each pixel can be turned off completely (therefore emitting no light), the contrast is astounding with amazingly rich blacks. Plasma suffers from a lack of peak brightness, but OLEO doesn't, so an image on screen can display both deep blacks and starkly bright whites at the same time. LED-backlit TVs, which typically have a series of LEDs along one or more edges of the screen, struggle to achieve such "local dimming"and contrast suffers as a result. Another advantage of not needing a back light is that OLED TVs produce strikingly even brightness and colour. Even the latest LED sets—especially large ones—fail to produce an even white across the entire screen; there's typically a brighter patch close to the actual LEDs and dimmer areas or ripples further away. Panasonic and Sony have already developed 4K OLED TVs, but they're just prototypes. Their picture quality is literally jaw-dropping, though, adding four times more pixels (3840x2160) to "standard" Full I-ID OLED models. How much does an OLED TV Cost? OLED technology has been around for ages, but up to now the difficulty has been making screens large enough to highlight the quality. Several smartphone models have touted OLED displays in recent years, the largest OLED display was about the size of a laptop screen. There's been no confirmed price nor launch date, but we're told that the OLED TV screens have come out at a starting price of Dollar 12000. Which manufacturers are making OLED TVs? Just about every major player has an OLED prototype, including Samsung, LG, Sony and Panasonic. At the 2013 International Consumer Electronics Show, Samsung unveiled their Curved OLED TV, breaking the innovation barrier in home entertainment. True to its name, the OLED panel is curved, which provides depth to the content displayed for a more lifelike viewing experience. Additionally, consumers will appreciate the Curved OLED TV for its immersive panorama effect, which is currently not available in conventional flat-panel TVs. When watching captivating content like vast landscapes and nature scenes on the Curved OLED TV, consumers will feel as if they are surrounded by and immersed in the beautiful scenery. Leveraging its expertise in display technology, Samsung has optimized picture quality of the Curved OLED TV to deliver a comfortable viewing experience, as the curved panel allows for the same distance between the user and TV screen from almost any angle. With No Back light technology involved, the OLED main frame to produce such high quality viewing lies on the Anode and Cathode layers which the molecules of the Conductive and Emissive layer rely on for HD picture quality.